This is the world of the Ikati. Never heard of it? That’s because it’s a secret world, one that is isolated from the human world, and rarely touches it. It’s also one of my very favorite worlds to read about and immerse myself in. J.T. 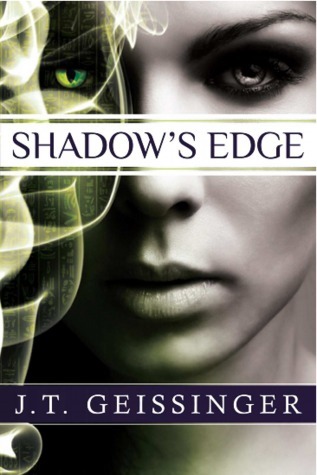 Geissinger has imagined a world where panther shifters have a secret society and live in secret bastions in different part of the world. Jenna is anything but a typical American girl. She is alone in a world where she is clearly different. She has spent her life hiding her special abilities from everyone. She is approaching her twenty fifth birthday, the birthday when an Ikati first shifts to panther form. She doesn’t know this. She becomes aware that she is being watched by a strange group of three beautiful people. They have come to California to find her to see if she manifests any of the many different abilities that only an Ikati can have. Jenna is only half Ikati so they don’t expect a lot from her, even though her father was one of their strongest Alpha’s ever. The leader of the Ikati group from England, Leander, sees Jenna and immediately is drawn to her. It isn’t long before he realizes how talented she really is. Now all he and the others with him have to do is talk her into going to England and taking her place among their group-the one thing her deceased mother had always warned her from doing. I loved this book and the entire series. The world building was pretty genius. This becomes more and more apparent as you read the series. The author has realized a world that is both fascinating and at times, not exactly perfect. Ikati politics are not always fair and those in charge are not always good. There is also a group that knows about them and makes it their life’s purpose to eradicate them. This makes for suspense and mystery, in addition to a really good, pretty steamy romance. This for me was the type of series that you read the book and have to immediately buy the next one. There is four so far and one more is due out in June. I think that one is the last one and I will be so sorry for it to be over. Any paranormal romance /urban fantasy fan should enjoy this well written and totally intriguing story. Full disclosure-I am a member of this author’s street team. Nice review Lorna, thank you. I will put this series on my wishlist. This sounds like my kind of series! I love that cover! i know..and the rest of them are pretty great too! Hope you enjoy! I loved the romance in this too Lorna. Glad you enjoyed this world.